HealthDIVER – Management Information and Performance Management Portal for Irish Hospitals, supporting continual improvement in performance and quality. 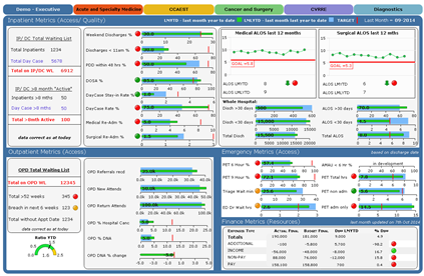 Off the shelf business intelligence solution for any Irish Hospital, with KPI dashboard and detailed Analytics. EndoRAAD – HSE National solution for an Integrated Endoscopy Clinical Information System, covering Clinical workflow and documentation. FIOS – Client Information System for Community Mental Health Service. System supports the complete workflow of a Child and Adolescent Mental Health Service (CAMHS) Clinic. CGM NETRAAD – Web based RIS/PACS/DICOM Viewer and Teleradiology. Delivers medical Images to CLININET. CGM CLININET ePortal – on-line patient access for referrals, appointments, consultations, etc. CGM Other – Other products available from CGM e.g. Laboratory, DSS.